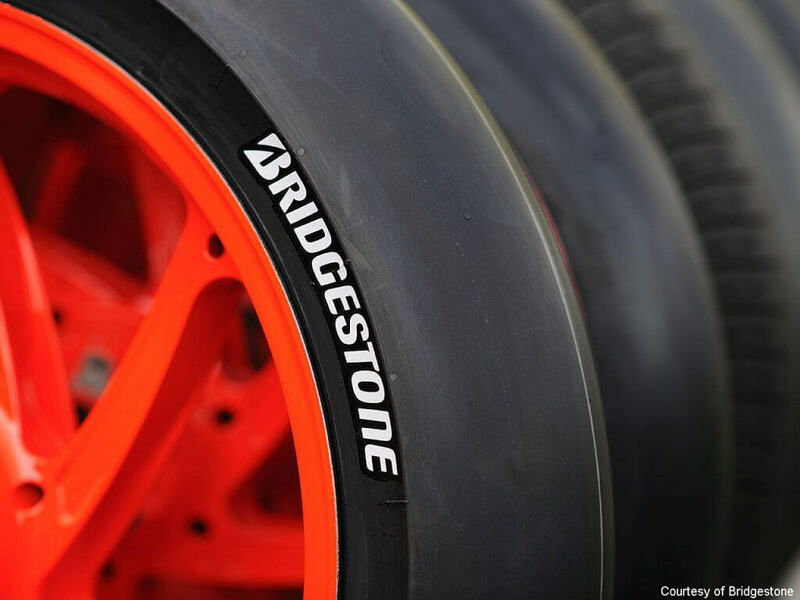 Bridgestone has confirmed that it will be bringing an all new asymmetric front slick tyre for the next round of 2015 MotoGP in Sachsenring, Germany. The new tyre will be identified by a light blue stripe and will be made available to teams/riders alongside the symmetric soft and medium compound front slicks. The reason Bridgestone has opted for a new tyre construction in its allocation is due to the ‘unbalanced’ layout of the Sachsenring Circuit. The racetrack is known for its abrasive tarmac and technical sectors that include a series of fast-left hand turns. The circuit has a total of 10 left-hand turns as compared to just 3 right-handers. This means the circuit is extremely punishing for the left shoulder of the tyres whereas the lack of right-hand turns will require superior warm-up performance for the right shoulder of the tyre. In order to provide a good balance between warm-up performance, braking and corner stability, the new asymmetric construction front tyre features medium compound rubber on the centre section and left shoulder, with soft compound rubber on the right shoulder. The softer rubber on the right shoulder will come into effect when the riders reach lean angles of up to 30° so as to ensure optimum warm-up performance and edge grip in Sachsenring’s right-hand corners, especially turn 11. Conversely, for left-hand turns at Sachsenring circuit, the rear slick options are asymmetric with significantly harder rubber on the left shoulders. As per the rules, factory Honda and Yamaha riders will use either medium or hard compound rear slicks while the rest of the field can use the soft and medium compound rear slicks.